Pure Light within you guide your way on. My life has been in devotion to Spirituality, the Divine and Great Mystery in all traditions. With over 25 years experience as a clairvoyant astrologer and inspirational guide, my wish is to be of service in the world by assisting others in self-empowerment by shining light upon their path. My search to know myself and discover spiritual truth began at the age of 15 when I was initiated into Transcendental Meditation. After a few months of meditating came dreams and inspiration from the spiritual realms. A vision of Christ came to me soon after, that changed my life. I felt I was to be a nun, as this was the only way I knew to serve Christ. As I was born into a Jewish family, this came as an unexpected surprise to me and a shock to my family. I soon realized that the church was not the way for me to serve Christ. I was given Autobiography of a Yogi by Paramahansa Yogananda, his words of devotion, love and wisdom satisfied and spoke to my soul. I have felt at peace knowing that, Christ and Yogananda, are always my beloved spiritual guides. At 19, I felt the way I could best serve was to become a teacher of TM, hoping to help other teenagers find inner peace and God. My lifelong passion with astrology, the sacred science and language of creation, began in 1967 when I attended my first astrology class with astrologer Louis Acker. I was hoping to understand myself and the journey of the soul. I had the good fortune of studying with the late, great father of humanistic- transpersonal astrology Dane Rudhyar and many other wonderful astrologers and teachers. In 1969 at London's Theosophical Society I began my studies in metaphysics and received my astrological certification. It was while studying here that I was introduced to three of the ascended masters - El Moyra, Kuthumi, and Djwhal Kuhl, whose guidance is always with me. Since that time I have felt the presence of many angelic, higher beings and presence of the Divine Mother who assist me in my life and work. My current study and research is in Vedic astrology, the fixed stars, and eclipse cycles. 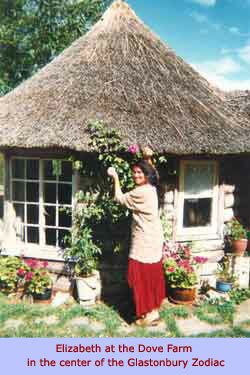 I began my study of crystal healing in Glastonbury in 1999 and completed Melody's Crystology Certification Course. I've also completed a past-life regression and Integrated Energy Therapy IET training and am now combining these in what I call Crystal Integration to further assist people to clear, heal and integrate. I have an intimate connection with Glastonburythe ancient Isle of Avalon, the Grail mysteries, and Stonehenge. In 1993 I began to guide self-questing journeys to England, including exploring the amazing and mysterious crop circles. I feel blessed to be in Glastonbury when I am able to spend spring and summer in England. My home since 1990 has been in the beauty and special energies of Sedona, Arizona. The red rocks are healing, nuturing, powerful and inspirational. I am now guiding self-questing pilgrimages into the red rock magic of Sedona.